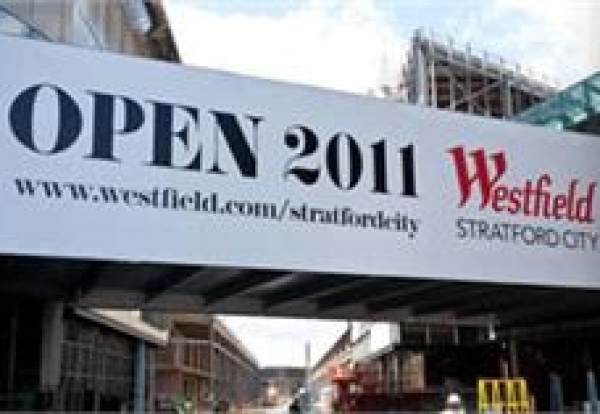 A shopfitter has been injured in a fall at the new Westfield Stratford City complex which is due to open next week. The Health and Safety Executive confirmed to the Enquirer that they have been notified about the accident which took place on Monday. The injured shopfitter is believed to have fallen from an A-frame ladder while putting the finishing touches to a sports shop. Site sources feared he may have broken his back but the HSE said it would not be launching an investigation. Safety campaigners said everyone on the site was under pressure to meet the September 13 opening date. Westfield said last month that some contractors were working extended hours “voluntarily” to meet the deadline. One site source said: “People have been working 15-hour shifts down there.